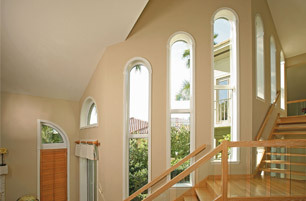 Once you’ve planned to add Stanek energy-efficient replacement windows to your home, you’ll want to consider how you will add privacy and light control. 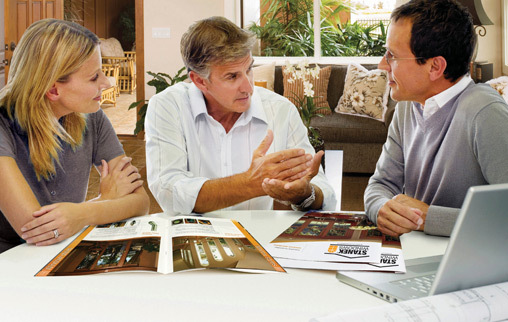 These elements will allow you to feel comfortable as well as control the temperature in your home. 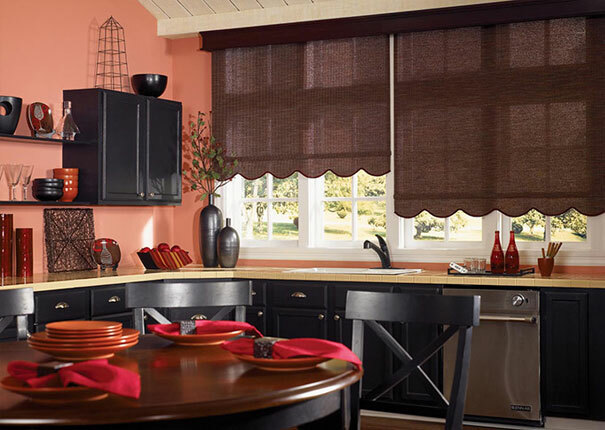 Great Day Improvements offers custom blinds and shades that will make your home even more enjoyable and energy-efficient. Everyone loves windows. They allow light and air into a building, and in some cases they provide an emergency exit from a building. The one thing that typical windows do not offer is privacy. Without some sort of covering or treatment, anyone can see into a window from the outside. This can be particularly obvious at night when the interior lights make it even easier to see into a building. 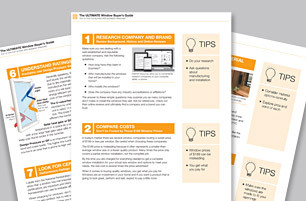 Learn more about different window privacy options. With so many great options on the market today for window coverings, it can be very difficult to decide what to put up in a room. 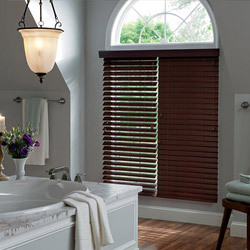 You could choose drapes, shades, blinds, café curtains or even shutters. 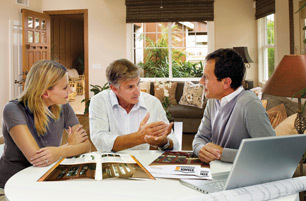 Learn more about choosing the right window coverings. 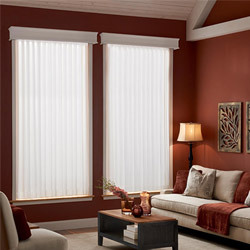 Vertical blinds are great for patio doors based on their privacy and light control. 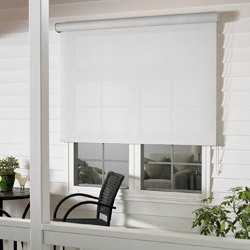 The material of the blinds that selected is based on sun exposure and frequency of use. 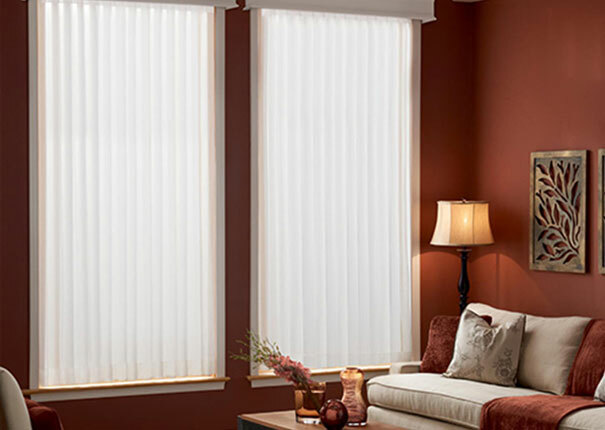 Cellular shades feature a double-honeycomb design that will insulate your windows which will increase the energy efficiency of your home and lower your energy costs. 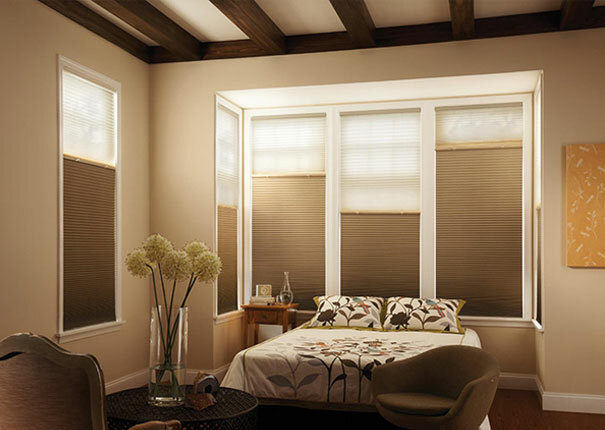 Wood blinds can easily transform uncovered windows into a beautiful work of art. 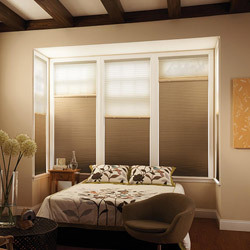 Faux wood blinds are a stylish alternative to wood blinds that are cost-effective. 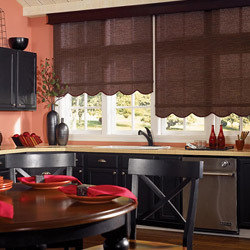 Roller shades are sleek, clean and compact. 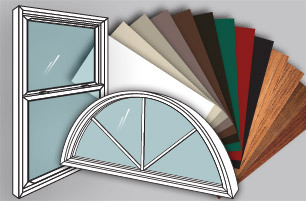 Our extensive collection features soft, touchable textures and weaves in a variety of colors that will allow you to customize the look of your window. Our double-honeycomb design is not only beautiful, but energy-efficient, providing shade while reducing your energy bills. 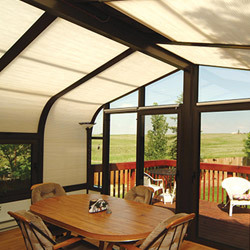 Cellular shades can be mounted on a flexible track. 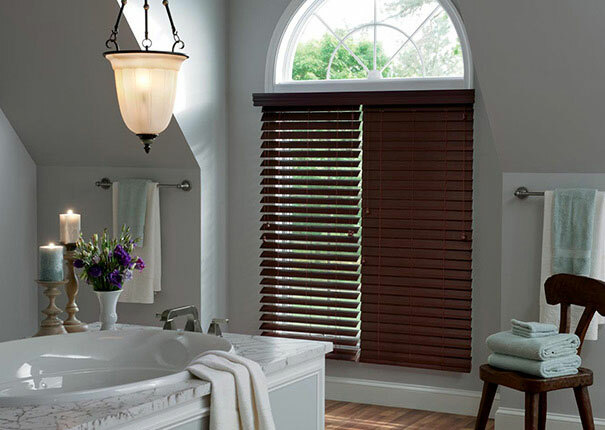 Beautiful, stylish and custom made, these exterior shades help reduce interior fading from damaging UV rays, while saving you money on your energy bills.